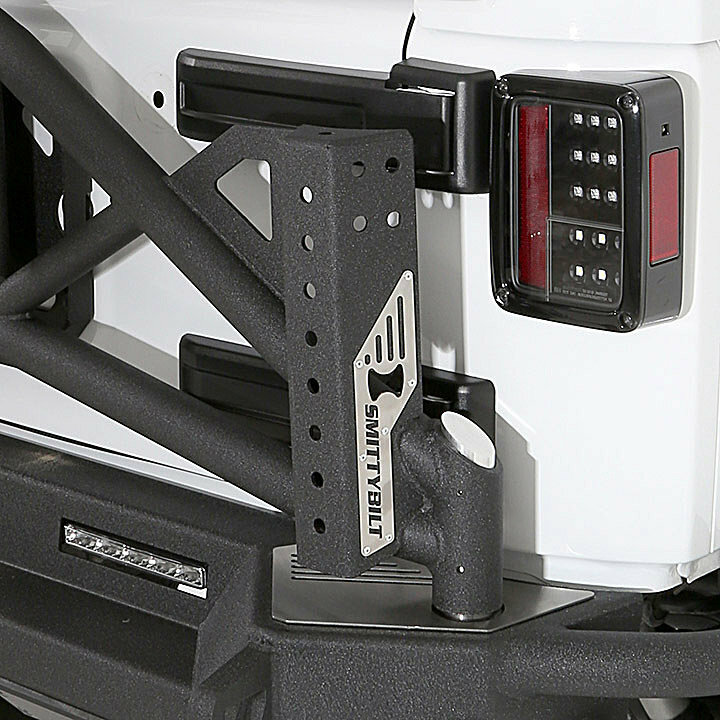 The Gen2 Bolt On Tire Carrier offers the same rugged construction as the Smittybilt SRC bumpers. 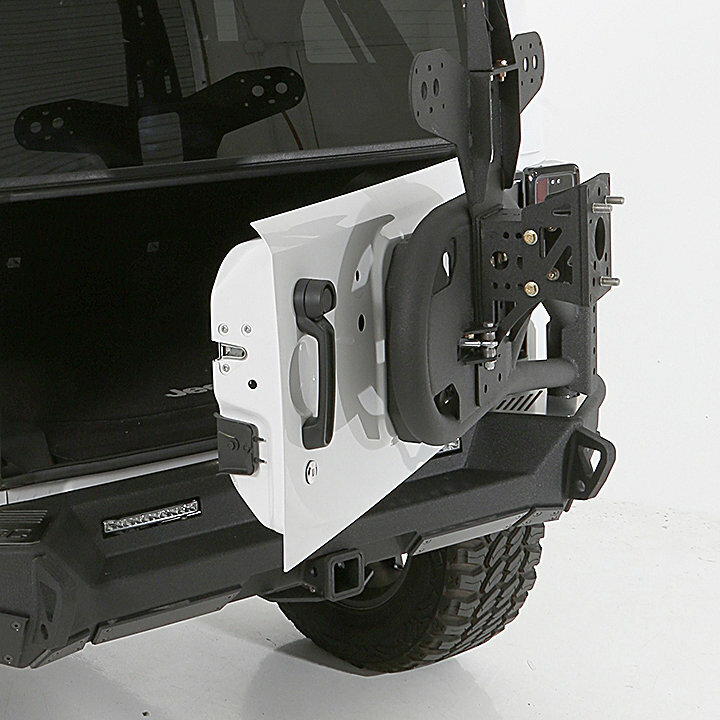 Single handed opening operation allows for quick & easy access to the back of your Jeep. 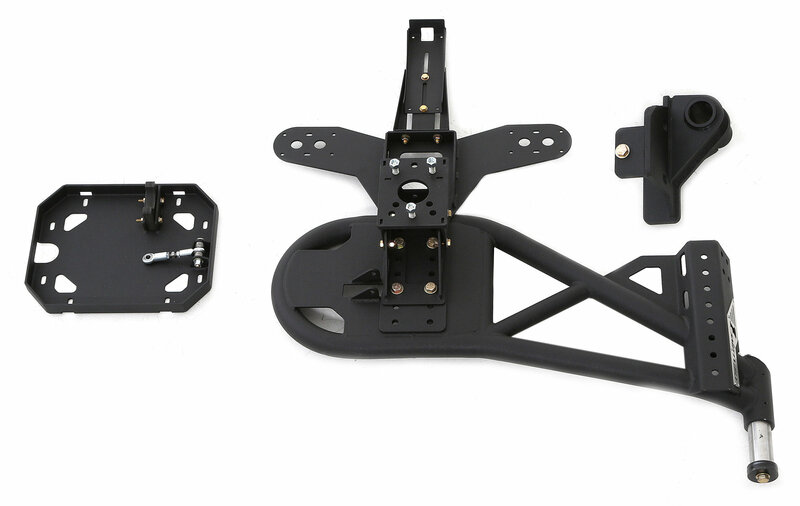 This bolt on tire carrier is designed to fit the Smittybilt SRC Gen2 line of bumpers as well as 10th Anniversary Jeep bumpers. 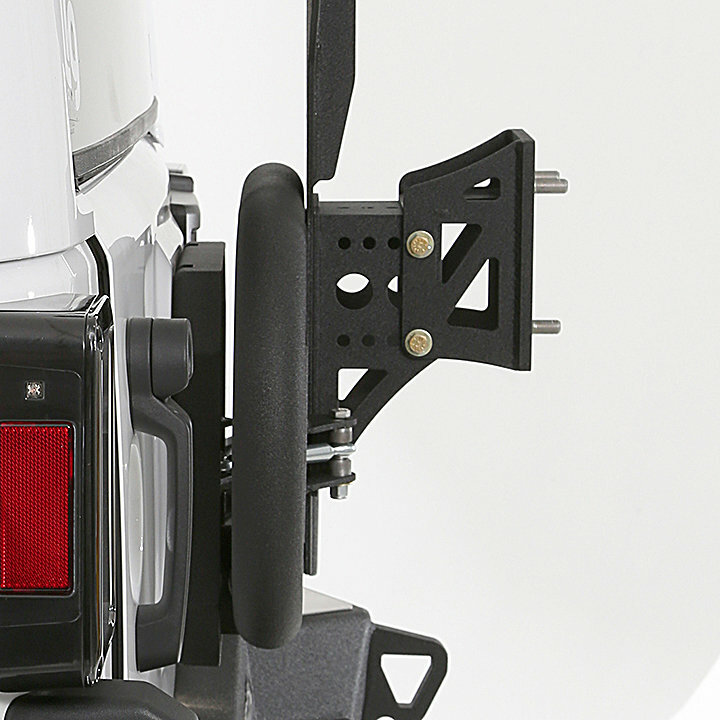 With key features including a frame mount pivot point, Roto Pax® gas/water can mount, CB/Jack mount and Bottle Opener this tire carrier has everything needed for the trail. Putting this bumper & tire carrier was way harder than expected Instructions are TERRIBLE. Lug bolts are too short to hold spare & having a very hard time finding longer ones. Brake light wires are not long enough to reach the brake light assembly . This took longer to install than the front and rear bumper combined. The instructions for this are terrible. Once you finally figure out what the instructions are talking about and you get it installed, it rattles like crazy. Makes a simple drive very unpleasant. My bumper and tire carrier install was an easy install, I'm a firm believer on doing your home work before taking on a project. Yes the instructions are vague in some areas and there is not a lot of info out there but it can be done. #1 the back up lights, the poorly designed plastic clips the hold the lights to the supplied bracket, they wont stay in place. Put the clip on the post, wrap it with a zip tie and make it tight, next apply some RTV to help everything stay in place. #2 The last bolt on the bracket the holds the tire carrier, the one that goes in the hole that you have to drill out. First you need a bolt about 2 1/2 in. in length, grind a taper on the threaded end this will assist in the aliment when you fish the supplied plate and nut in the end of the frame. 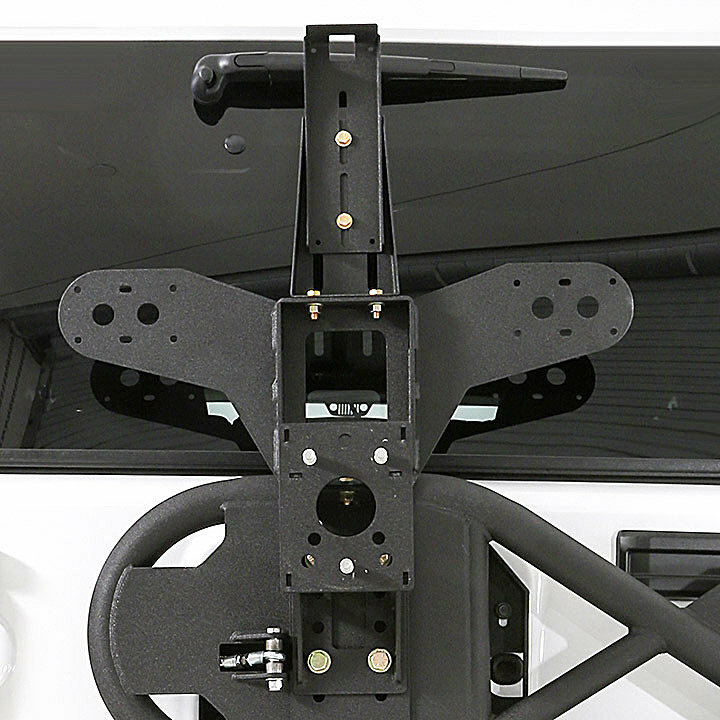 #3 Do not tighten the bolts on the the plate that mounts to the tailgate until you mount the tire carrier, it needs to be aligned with the tire carrier support bracket ( the C shaped plastic piece). When all is lined up, tighten everything up ,then tighten the turnbuckle till there is no rattling. #4 I read some comments about the installation of the three wheel bolts, needed to be pressed in, well that was not my case, a mater of fact the holes were so loose I had to weld them into place. Every job has work around 's that need to be overcome. Total install time including removing the original bumper about 16 Hrs. What is the weight of the this carrier? Which jack mount is recommended for this? Would put on my 2017 Ultimate Hard Rock OEM bumper. Would the red hook have to be removed permanently for this installation (like has to be done with AEV tire carrier)? Yes, you will need to remove your tow hook.